In Born for Love, Maia Szalavitz and Bruce Perry explain that we are born with foundational skills that allow us to learn empathy. Babies have the ability to imitate facial expressions, and they have an automatic response of crying when other babies cry. These two skills probably engage a cluster of brain cells called "mirror neurons." The study of mirror neurons is still young, but it has already given us some insight into human behavior in social settings. As Szalavitz and Perry describe, "Mirror neurons fire when you do something - but more important, they also fire in a less intense fashion when you see someone else do the same thing." Neuroscience researchers from the UK explain that mirror neurons fire in the person doing the action, and they fire also in the person observing the action. Whether you are doing something or whether you are watching it being done, the mirror neurons are active. We know that effective bullying prevention efforts are found within strong school communities, but what is at the heart of those strong communities? Trust. As Tony Bryk and Barbara Sneider suggest, "trust is the connective tissue that binds individuals together to advance the education and welfare of students." Understanding the critical role of safe and supportive places for our students in bullying prevention efforts is not enough. We need also to understand how to build those strong school communities. The importance of building trust in bullying prevention efforts, then, cannot be ignored. 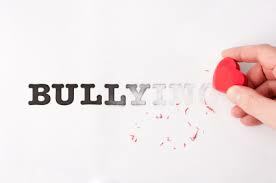 In October 2016 the National Academies of Sciences, Engineering, and Medicine released Preventing Bullying through Science, Policy, and Practice. This publication provides the results of a study commissioned by the NAS that aimed to determine what we know and what more we need to know about bullying behavior and its impact. While the entire study results are available for download at the NAS site, a policy brief is also available here.